I have a deep respect and admiration for those who have given their time and even their lives in service to our country. 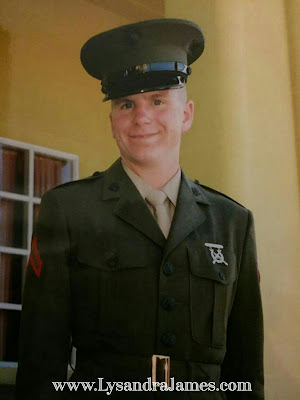 I hail from a family where several uncles, cousins, and even my own brother have served in the armed forces. To them, I express my everlasting love and gratitude. Even now I struggle to keep my emotions in check as I think of their sacrifice. My brother upon graduation from boot camp nearly fifteen years ago. 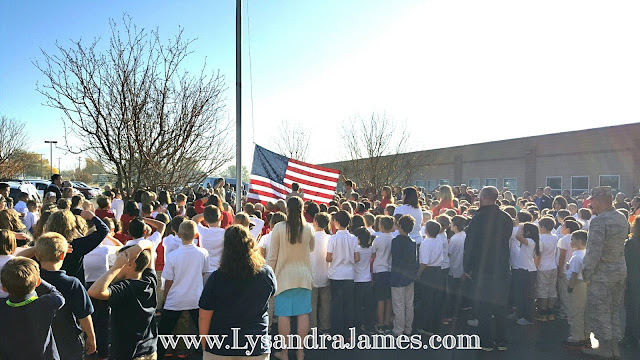 Every year, my kids' school puts on a Veterans Day program. It's the biggest, baddest, most amazing and tear-jerking event of the year. 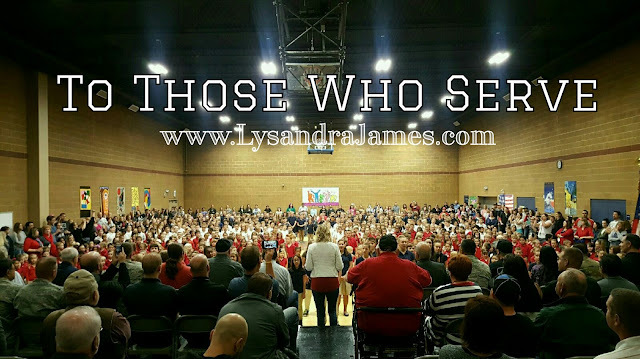 They seat veterans on the stage and the kids perform for them, honoring them for all they've done. This year was the first time I was able to see it firsthand and dang, it was beautiful. The title photo was taken by my friend's sister as she stood behind where the vets sat. 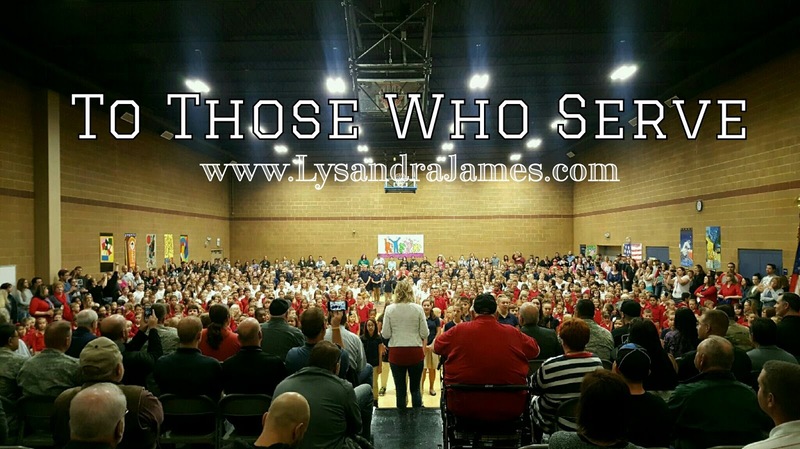 The sea of students in their red, white, and blue shirts was awe-inspiring. I'll admit to being teary eyed as I watched, not the kids, but the veterans as songs like "You're a Grand Old Flag", "Take Me Out to the Ballgame", and the songs for each of the branches were belted out with pride. I wanted to go up and hug each and every vet up there. After the performance, everyone went out to the parking lot where a brand new American flag was raised in a proper Boy Scout ceremony. As the crowd recited the Pledge of Allegience, I found myself unable to speak out loud. Tears streaked down my face as emotions overcame me. I am a proud citizen of this country. We, as individuals, are what makes America great. Those of us who serve as well as those of us who simply support their efforts. No matter what the future holds, it's moments like this that make me grateful to raise my children here. And God bless those to give so much to preserve our freedom.